Synopsis: We are the last defence.I've seen him on the news. Followed the stories about what happened to John Smith. To the world he's a mystery, but to me ... he's one of us. Nine of us came here, but sometimes I wonder if time has changed us, if we all still believe in our mission.There are six of us left. We're hiding, blending in, avoiding contact with one another, but our Legacies are developing and soon we'll be ready to fight. Is John Number Four - and is his appearance the sign I've been waiting for? And what about Number Five and Six? Could one of them be the raven-haired girl with the stormy eyes from my dreams? The girl with powers that are beyond anything I could ever imagine? The girl who might be strong enough to bring the six of us together?They caught Number One in Malaysia. Number Two in England. And Number Three in Kenya. They tried to catch Number Four in Ohio ... and failed. I am Number Seven. And I'm ready to fight. John, Sam, and Six are on the run. The FBI are on their tails, and they have some serious explaining to do. They’re being labelled terrorists, enemies. But the FBI is the least of their problems. The trio are being chased across America by the Mogadorians who are intent on destroying them and their legacy. Their only option now is to find the other remaining Garde- Number Five, Seven, Eight, and Nine- and hope to survive. That’s what it’s all about: surviving. 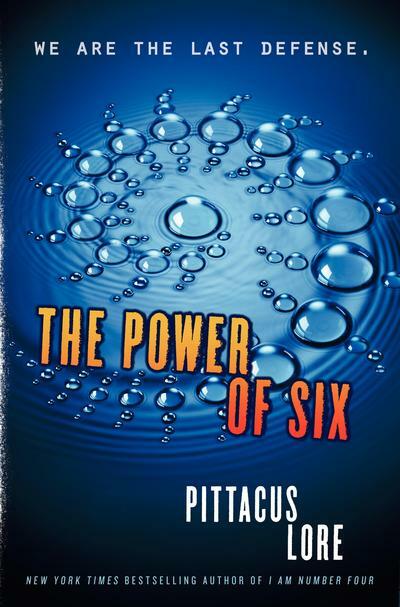 Although I felt that I Am Number Four was a mediocre read, I was looking forward to Power of Six– primarily because John (still hate the name), Sam, and Six have been taken out of the domestic environment. This was the primary offender in making I Am Number Four rather cliché and cheesy. I was hoping for some toned down romance now that Sarah and John were separated, a little more drama, and a conclusion that isn’t an effort to read. Power of Six ticks all those boxes. The author duo (comprised of James Frey and Jobie Hughes writing as “Pittacus Lore”) have upped their game. The action sequences are actually well written and it’s no longer an uphill battle to decipher the frankly epic climaxes. Power of Six introduces us to a new narrative by Number Seven, Marina. She’s an 18 year old member of the Garde in Spain. Though it is sometimes confusing as to who is currently narrating the novel (though after a paragraph or so this becomes quite evident), Marina’s narrative is a benefit to the novel. Her story is a good one, and I enjoyed her part of Power of Six as much as I did John’s, which is unusual- I often prefer the original account. As good as it is to see another character narrate the story, “Pittacus Lore” still struggles to convey the emotions of the characters, and this can lead them to being rather flat and uninspiring. Again Marina triumphs, being a far more interesting to read about than John, though this is mainly due to her story and far less to do with her character. The over-the-top romance of I Am Number Four is largely dropped in Power of Six, instead replaced with a love square, the conclusion of which is slightly odd. I’m glad that the authors have toned down the romantic side- the seemingly perfect passion between John and Sarah was one of the weaker points of I Am Number Four, but then to replace it with something that is just as cheesy was a mistake. Thankfully, the love square is only a very small part of the story. Power of Six is a huge improvement upon I Am Number Four, amping up the action as well as introducing us to several new, more intriguing characters. I’m glad to see that the 6-book series will be more than just the Garde trying to group together; already several of them are united. If you can look past the odd possible plot-hole and one sided characters, then Power of Six will offer all the action and excitement you will need. 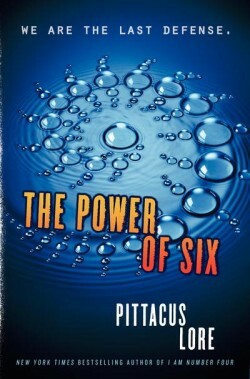 I was entertained by Power of Six, and if you were a fan of the first book, then I’m sure you will be too. What did you think about Power of Six? I am looking forward to the release of this book in the USA on Aug 23. I liked I Am Number Four and am glad to see that The Power of Six is even better! Pitticus Lore is not just one writer, although most of the first and second book were by the same one, Jobie Hughes. The idea for the theme of the books belongs to James Frey. The third will be interesting as I am not sure Mr. Hughes will be writing it. There may be a “team” of writers headed up by James Frey that I suspect will provide it and perhaps will do some more character development. 3 dead. Four on the run somewhere in the U.S. Six unknown, maybe with Four. 7 8 and 9, WHERE ARE YOU!